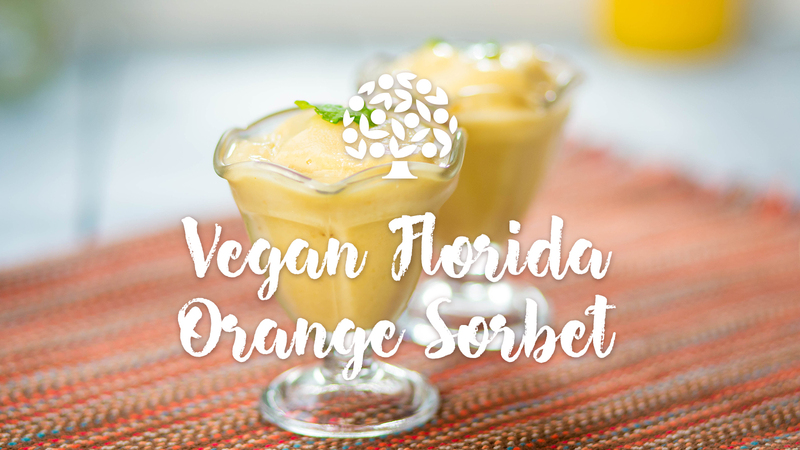 Our Vegan Orange Sorbet is a light dessert option with the nutritional benefits of Florida Orange Juice. Providing a great source of potassium, our Vegan Florida Orange Sorbet helps enhance muscle strength and maintain a consistent metabolism. 1. Fill an ice cube tray with the Florida Orange Juice and freeze until solid. 2. Cover a baking sheet with wax paper. 3. Slice the bananas and lay them flat on the baking tray. Freeze for at least 8 hours. 4. In a blender, add frozen Florida Orange Juice cubes, frozen banana slices, vanilla and ginger. Blend until the mix becomes creamy and smooth.